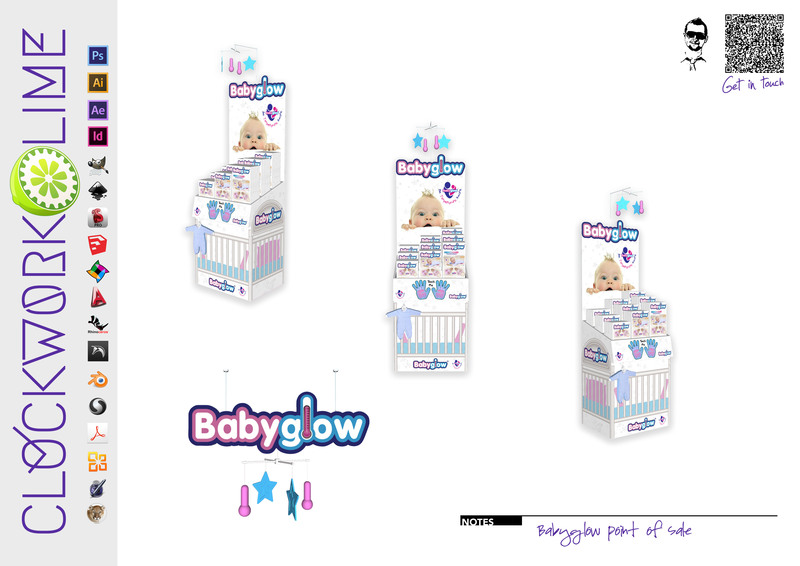 Towards the end of last year i took on what started as a small commission to visualise a few potential packaging options and display units for Babyglow. For those of you who haven’t heard of Babyglow, the brand was featured on the BBC’s apprentice a few seasons ago and produces heat sensitive/colour changing baby clothing. At first i was asked to produce some basic visualisations. These included a gift box/carton, a character standee, a cieling drop sign and a CDU. Below is an idea of what was produced. Since then i have been asked to take on more and more for Babyglow, keep an eye on the site for more updates!